There are films that only test your patience and then there are films that reward you for it. 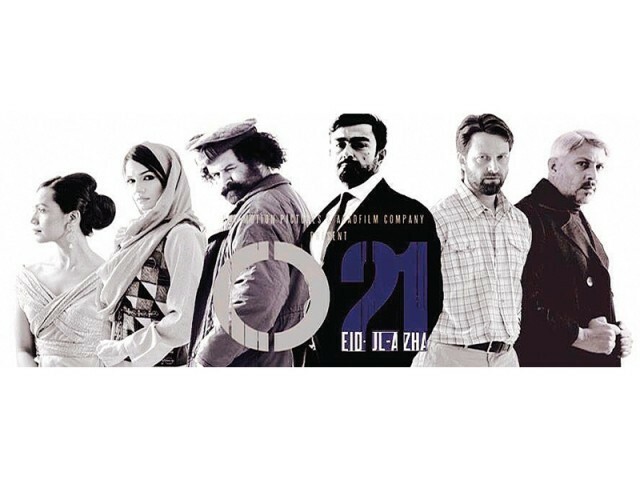 Operation 021 manages to be one of the few Pakistani films among the latter category. In an age where rapid action and rapid exposition are the hallmarks of most movies made and enjoyed around the world — from Bollywood to Hollywood — Operation 021 can be a very testing experience for many viewers. Especially when one expects a Waar-like high on action, low on substance blockbuster — as it seemed to be billed by its promoters — Jami’s film can feel random and, for the first half an hour or so, rather dull. But as they say, good things come to those who wait, and that certainly is the case withOperation 021. Eschewing the modern trend for rapid exposition, the film instead opts for a more classic mould. One that asks you to trust its writers and director, and have faith that everything shown on screen has a definite purpose. Yes, many questions are left hanging for a good while of screen time, but it all comes together quite neatly in the end. And that very fact is what setsOperation 021 apart from most Pakistani films made so far. While escorting a Nato convoy through militant territory, an initially pro-US militant Abdullah — played by veteran Baloch actor Ayub Khoso — steals a microchip, hidden in one of the trucks, containing the names of corporations and investors who have reached a deal to exploit lithium reserves in Afghanistan to the detriment of the country’s people. Thus begins a cat-and-mouse chase that spans the length of the entire film involving an ex-CIA asse, Kash (Shaan Shahid), Afghan intelligence official Dost (Hameed Sheikh) and CIA agent Nathan (Joe Towne). This, however, is only the backdrop of Operation 021, not its central idea. More crucial to the film is the relationship between Dost and Abdullah, characters who represent what can be seen as the two poles of Afghan society. Abdullah very clearly represents the more traditional, nationalistic worldview in Afghan society, one that values the motherland above all else. Dost , in contrast, can be seen as a stand in for the Karzai-type — someone willing to cut a deal with foreign powers to secure a personal future. Indeed, its Dost’s inner conflict — his diminishing place in Afghan consciousness — that is more central to Operation 021 than the plot. That Operation 021 manages to explore a deeper conversation between two diametrically opposed worldviews — despite a premise that is more Call of Duty than Syriana — is perhaps the film’s greatest achievement. The film even delivers very strongly when it comes to performances, spearheaded by Ayub Khoso in what is possibly the greatest moment of his already rich career. Keep an eye out for Khoso’s monologue in Dari, which is surely the standout moment of the film. Hameed Sheikh’s turn as the brooding Dost, marked by a silent strength and punctuated with undercurrents of doubt, is another noteworthy performance in a movie chock full of them. Kudos must also be given to Shaan, who despite his stellar presence is more restrained in his performance and well-suited to his rather limited role in the film. Where the cameo by Bilal Ashraf and Gohar Rasheed speaks loads about how Pakistani artists are desperate to showcase their phenomenal acting skills in the smallest of roles, Mustafa Changezi is perhaps the weakest link of the film. His flat delivery and monotonous gestures not only weaken every scene in which he appears but also give nothing to his co-actor Aamina Sheikh to play around with. On the other hand, muffled sound in the first 20 minutes of the film is quite testing and is not helped by subtitles that come and go very quickly. Scenes set in Washington could be vastly improved as well. Having said that, Operation 021 is easily the most slickly-produced Pakistani film to date, with an ending sequence that is as good as any modest Hollywood film. Verdict: It’s a dense film, one you wouldn’t want to watch again. But do watch it once to embrace the fact that even a Pakistani film can opt for a slow and steady approach towards storytelling.